Download Photographer Website Template Free PSD. This is a free landing page template psd suited for photographers. The design looks elegant and modern with a nice layout with big header and gallery section that works well with this type of website. Photographer Website Template Free PSD also has a section where you want to sell your photographs online and make money. 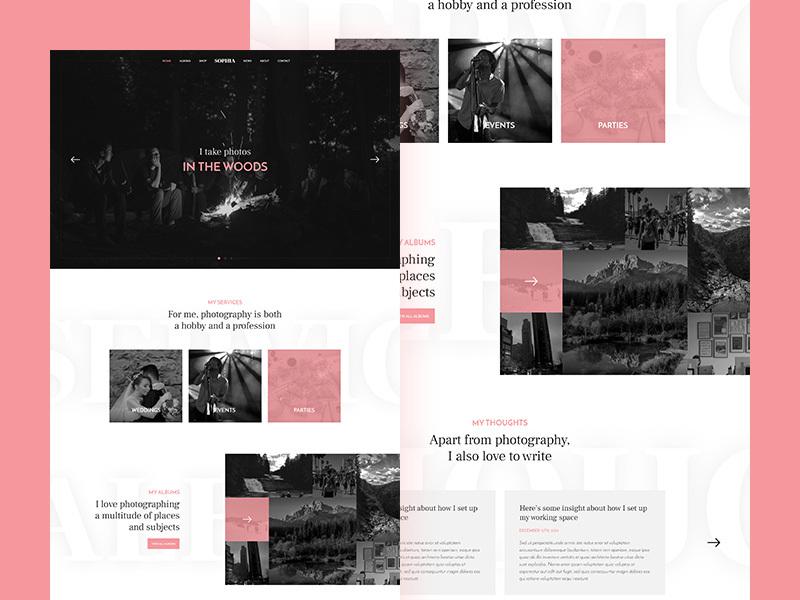 Be sure to give Photographer Website Template Free PSD a try. You can also use this free website template psd as an inspiration for other projects as well. Hope you like it. Enjoy!